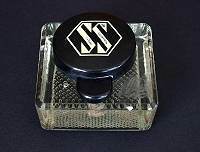 A glass inkwell with black bakelite cover having the SS logo moulded in. 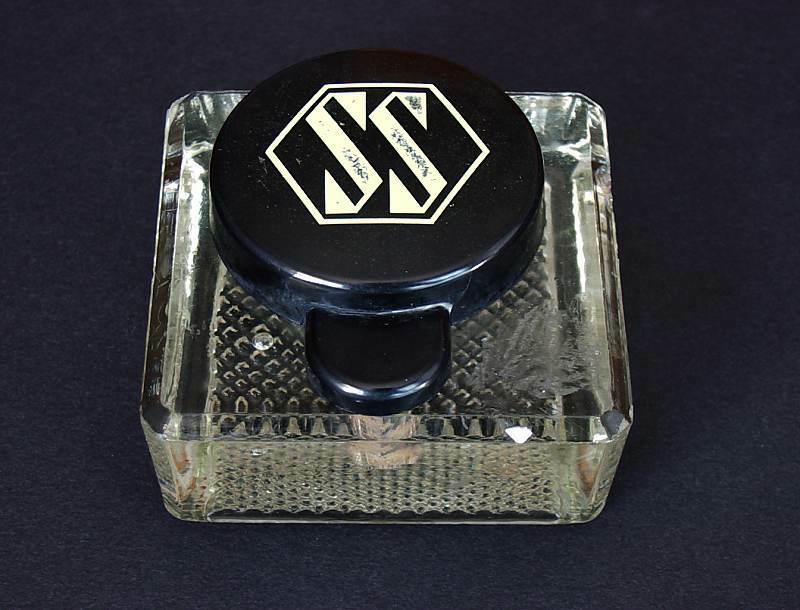 While the inkwell itself appears contemporary, the lid may not be. No other example of this is known.